Freedom’s coat in the summer is the color of a newly minted copper penny. It’s so bright you practically need shades! Unlike Zelda, whose black coat fades out during the summer, Freedom seems to absorb the sunlight and store it in his coat. He gleams. He exudes the golden light of high summer. And it’s not because I spend a lot of time grooming him. Mr. “Don’t Touch Me” wouldn’t stand for that. I’m lucky if I can run a soft brush over him before he gets too antsy. I’m sure the flax seed helps, too. Chestnut horses are truly horses of the sun and summer! 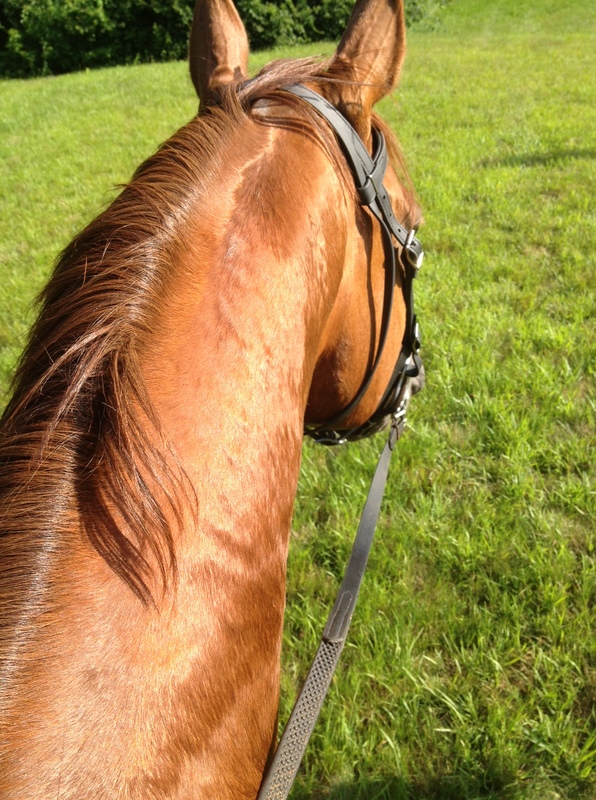 Last week my new rider husband was noticing a chestnut horse at the barn where we ride. The term he used was “iridescent.” So pretty! And it’s fun to see what things he notices since everything is new to him. Oh the discovery and wonder of horses!